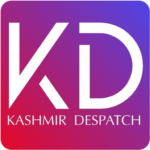 Srinagar, Mar 10 : The director horticulture Kashmir Ajaz Ahmad Bhat took a review of all the developmental activities & status of expenditure made under various centrally sponsored schemes & capex budget here. The meeting was attended by all CHOs & chief Canning Instructors & Farm Managers of Kashmir division. The director impressed upon all the officers to gear up their field functionaries and nursery staff for awareness of farmers & strengthen the potential of developmental nurseries for production of quality plant material besides achieving 100% expenditure under all developmental schemes. The chief horticulture officers were instructed to gear up their insecticide inspectors for ensuring timely availability of HMOs & quality pesticide in the market. The director horticulture also paid a visit to centre of Excellence & Hi tech walnut nursery being established at Zawoora, Srinagar. 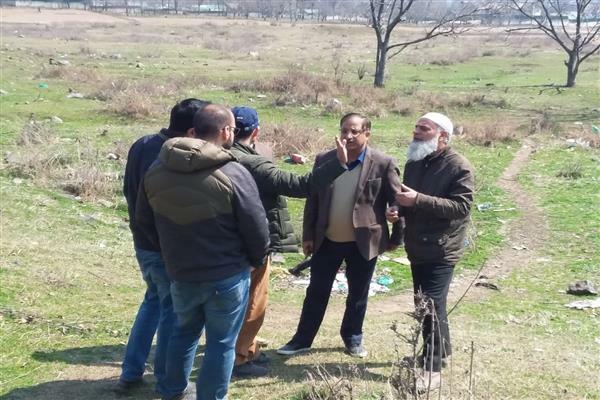 The director was accompanied by Joint director horticulture Kashmir, chief horticulture officer Srinagar, Ex engineer horticulture P&M construction Division & horticulture development officer concerned. The director took stock of all the ongoing developmental activities at COE and walnut nursery. The centre of Excellence is a prestigious project of the state Horticulture department where demonstration plots of different varieties of fruit crops like Apple, pear, peach, plum, prune, nectarmine, apricot, cherry, almond & walnut shall be established besides establishment of quality rootstock & plant material. The project shall be the centre of technology assessment & transfer along with a bud bank.